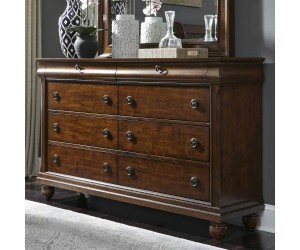 Accent your bedroom furnishings with this eye-catching Liberty 589 Rustic Traditions Landscape Mirror from Carolina Furniture. 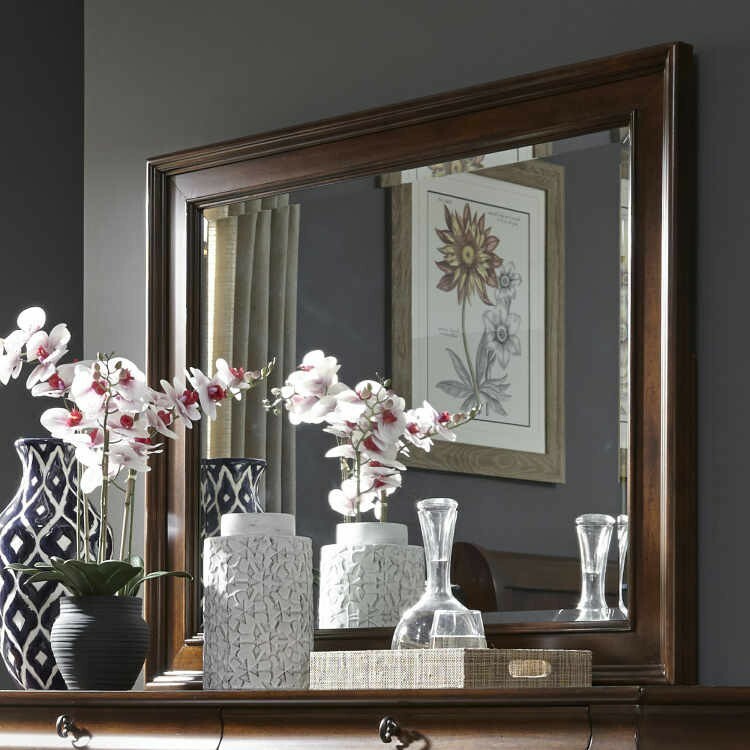 Featuring beveled glass and a frame crafted from poplar solids and pin-knotty cherry veneers, this mirror achieves a look both rustic and elegant. 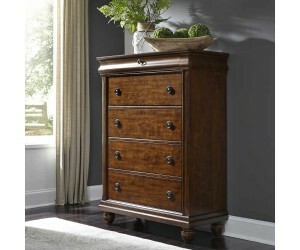 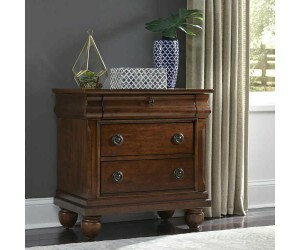 Place atop your dresser to create a convenient changing station while adding depth and dimension to your room.